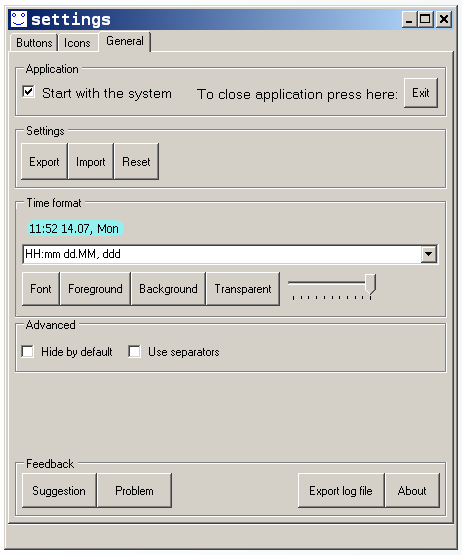 "Hide" checkbox will hide tool_bar for selected application. The "Toolbars" control can exclude and include toolbars, create new toolbars, buttons and also there is the icons editor. If you leave the background color unchanged as it was in "new" icon then the background will be transparent. Also it is possible to hide tool_bar for all new applications by selecting "Hide by default" checkbox. "Use separators" option works together with "Start group" option of the buttons.